There are many different styles of latex mattresses on the market. Differentiating one from the other can be really confusing, and oftentimes labels are misleading. Please don’t become frustrated; we’re here to help! Here at Bedrooms & More, we believe that you deserve to get everything you’re looking for when it comes to purchasing a latex mattress. Unfortunately, the way many companies market their mattresses makes it difficult for consumers to know what they’re really buying. Latex is not all created equal; you deserve to know. Latex foams can either use rubber from a tree, or be petroleum-based plastic. Natural Latex refers to latex derived from the sap of a rubber tree. Latex made from 100% tree rubber, will compress around 2% over a 30-year span. Synthetic Latex requires petrochemicals. Petroleum-derived latex will compress as much as 20% over the course of only five years. Blended Latex is a combination of the two, in varying percentages. Blended Latex compresses proportionately depending on the percentage of each type of rubber used. Dunlop – This process consists of latex poured into a mold and cooked horizontally. To learn more about our unique Botanicore™ botanical latex cooked using the Dunlop method. Talalay – This process produces the least durable latex of the three. It uses less raw latex to get the same initial feel, making it lighter. As a result, the cell walls of the foam are narrower, meaning that the foams softens more quickly, losing support. Continuous Pour – Least known of the three types of latex production; continuous pour latex is extruded onto a conveyor belt. Layers of latex will move through an oven. Manufacture of 6″ thick cores is also possible with special removable pins. Most continuous pour latex is thin (1cm). It is very durable and is frequently used in the quilt layer of mattresses. Use of thin layer is common in mattresses that are primarily poly foam or coils. Value is equal to comfort over time; comfort relates directly to the durability of the materials in the mattress. Keep in mind: an organic certification is not very important when purchasing a latex mattress. The GOLS certification can have up to 5% synthetic materials and still pass. A certificate that the mattress is made with tree rubber is more valuable. If a mattress really has tree rubber latex, a retailer will have a certification that confirms this. If they cannot provide you with one, then the odds are it isn’t really made from natural latex sourced exclusively from the rubber tree. Petrochemicals make up synthetic latex. It is not renewable. However, sap from a rubber tree is biodegradable. Synthetic latex will off-gas. Therefore it emits a strong odor for days, weeks, even months after purchase. If buying a clean, chemical-free mattress is your priority, it’s best to ask for a certification on the rubber used. Two things affect mattress durability. One is composition, the materials. And the second is the manufacturing process used. With synthetic or blended latex, we know the material starts to sag early on. One-sided mattresses with synthetic or blended latex last about 4 to 6 years, while two-sided mattresses last around 7 to 10 years. With a two-sided latex mattress made of 100% botanical latex, the lifespan is much longer. With proper flipping, rotation, and overall care, this mattress will last. You now have the power. 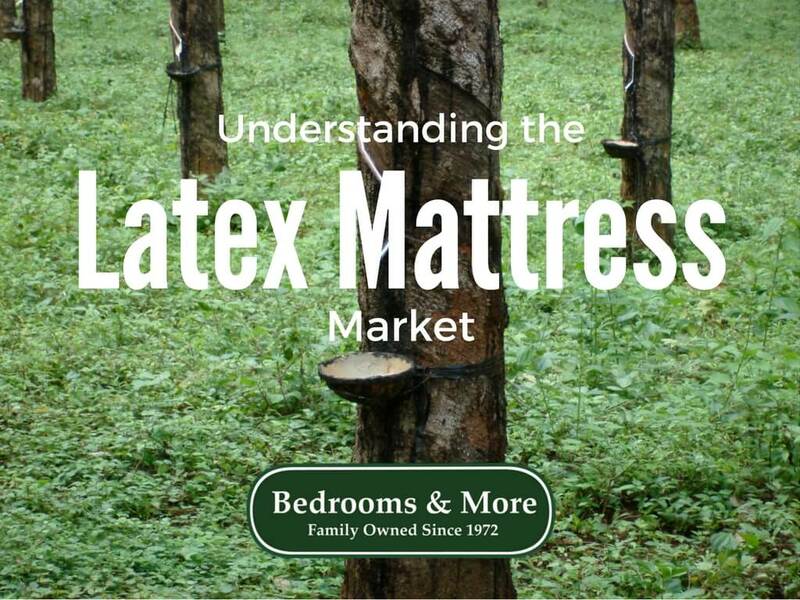 Your knowledge of the Latex Mattress Market and several key terms will take away the guess work. And no more mysteries to encounter when shopping. You’re now ready to find the right latex mattress that fits your individual needs. This entry was posted in beds, Latex Mattresses, Mattresses Seattle. Bookmark the permalink.